BLOOMINGTON, Minn. – Oct. 8, 2018 – The college hockey season has just begun, and we have already seen a hat trick, a dramatic game-winning goal, some stellar goaltending and impressive debuts. 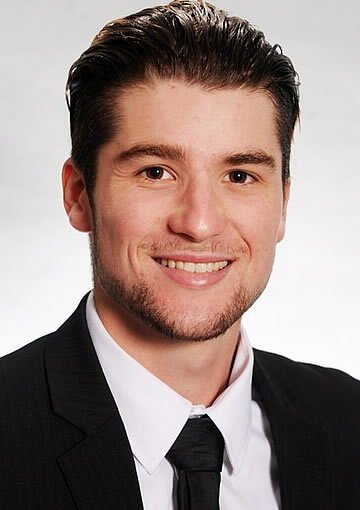 Here are the first men’s Western Collegiate Hockey Association (WCHA) Players of the Week for the 2018-19 campaign: Bowling Green State University senior Stephen Baylis (Forward), University of Alaska Anchorage junior Tomi Hiekkavirta (Defenseman) and a pair from Lake Superior State University – sophomore Mareks Mitens (Goaltender) and freshman forward Pierre-Luc Veillette (Rookie). Baylis needed just one game to become the nation's top scorer on opening weekend, collecting the first men's D-I hat trick of the season and adding an assist in now-No. 20 Bowling Green's season-opening, 8-2 road win at Mercyhurst. The Falcons' captain set an impressive tone on opening night, assisting on Max Johnson's game-opening goal before turning a 3-0 BGSU lead into a 6-0 advantage with a natural hat trick. Baylis scored at 11:10 and 12:47 of the second period, and then again at 5:47 of the third, for his first career three-goal effort. The senior from Ottawa, Ontario now has three career WCHA weekly awards. 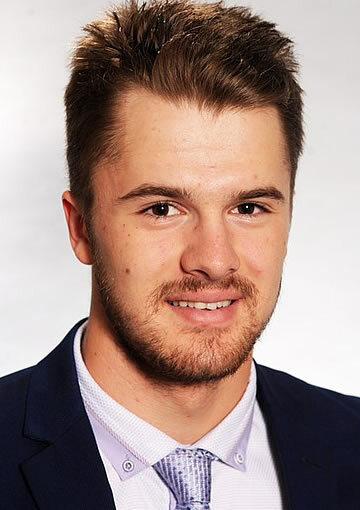 Honorable Mention: Max Humitz, Jr., F, Lake Superior State (scored a pair of goals, one being the lone goal of the game Sunday as the Lakers won, 1-0, to complete a road sweep at Merrimack). Hiekkavirta capped a solid individual first weekend with the tie-breaking, game-winning goal with 9:18 remaining Sunday, capping Alaska Anchorage's third-period comeback in a 4-3 victory over Colorado College. 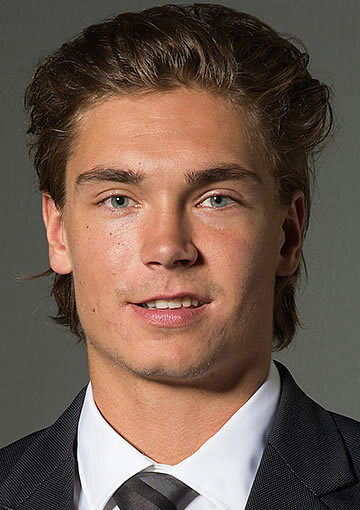 The junior from Helsinki, Finland also assisted on the Seawolves' second goal, helping new head coach Matt Curley to his first NCAA Division I victory. Hiekkavirta, who posted a +2 rating despite Saturday's eight-goal loss, finished with three points (1g-2a) to lead WCHA defenseman and tie for second nationally. This is Hiekkavirta's first career WCHA weekly award. Honorable Mention: Jacob Nordqvist, Fr., Lake Superior State (tied for the WCHA rookie lead with two points and two assists, with both coming in the Lakers' 5-4 win Saturday at Merrimack); Alec Rauhauser, Jr., Bowling Green (assisted on two of Stephen Baylis' three goals, added two blocked shots and a plus-2 rating in the now-No. 20 Falcons' season-opening, 8-2 win at Mercyhurst). One of only three goaltenders with a shutout on opening weekend, and the only to post a clean sheet on the road, Mitens was sensational in Lake Superior State's 1-0, sweep-clinching win Sunday at Merrimack. After not playing Saturday, the sophomore turned aside all 31 shots he faced in the series finale – including 25 after the Lakers scored the game's lone goal 37 seconds into the second period. In fact, Mitens protected the 1-0 lead despite LSSU being outshot 25-12 over the final 39:23. This is the first career WCHA weekly award for the Ventspils, Latvia native. Honorable Mention: Ryan Bednard, Jr., Bowling Green (carried a shutout into the third period and posted 18 saves as the now-No. 20 Falcons rolled to an 8-2, opening night win at Mercyhurst). Veillette tied for the WCHA rookie lead with two assists and points, collecting a pair of helpers in Lake Superior State's season-opening, 5-4 win at Merrimack. The freshman from Drummondville, Quebec proved to be a special-teams facilitator in his collegiate debut, teaming with fellow rookie Jacob Nordqvist to set up both of Diego Cuglietta's power-play goals. Both came at key times, as the first tied the game 2-2 just six seconds before the first intermission, while the second put the Lakers ahead, 3-2 at 3:58 of the second period. 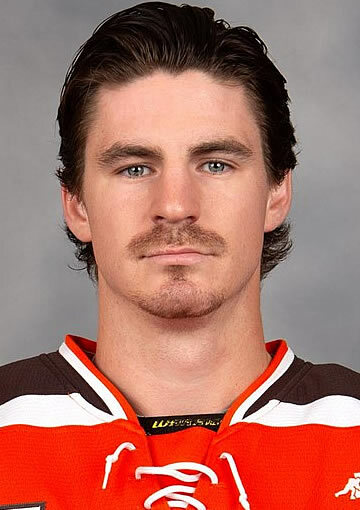 Honorable Mention: Tim Theocharidis, D, Bowling Green (the first shot of his collegiate career proved memorable, as he scored the eventual game-winning goal as the now-No. 20 Falcons opened their season with an 8-2 win at Mercyhurst).